Win a Spot in Graphghan Boot Camp! In case you haven’t heard, registration is open for my flagship course: Graphghan Boot Camp. 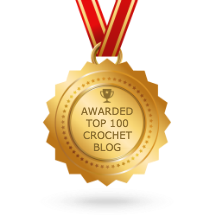 I am so excited about this course–I don’t think I’ve ever made anything that I am more proud of than Graphghan Boot Camp, and I’ve made a lot of really neat stuff over the years! Read even more about Graphghan Boot Camp in this blog post! So what is Graphghan Boot Camp? Well, GBC is a 100% online course. It is completely self-paced, which means you can start and complete the lessons on your own schedule. Can you only watch one per week? No problem! Want to binge them all in one sitting? Binge away! I designed GBC with the beginner graphghan-maker in mind. If you can work a chain stitch, slip stitch, single crochet, and double crochet, then you can take this course! It’s also a perfect primer for any crocheter with any sort of previous graphghan experience. Graphghan Boot Camp will teach you every single thing you need to know about designing, crocheting, and finishing any graphghan project! These cheat sheets are basically a companion set of documents to the video tutorials. They make a great reference for future projects, and you can save them on your phone/tablet/computer etc. or print them off for later! Best of all? You get lifetime access to this course and all of the lesson materials, so you can come back and re-watch, re-download, and refresh your graphghan skills any time you want. Graphghan Boot Camp officially starts on September 1st, 2018. Once the course is published and all of the lessons become available, I will personally send you an email notification to let you know that boot camp has begun! I’ve made a lot of nifty things before, but I’ve never been more proud of anything than I am of this Graphghan Boot Camp ecourse. 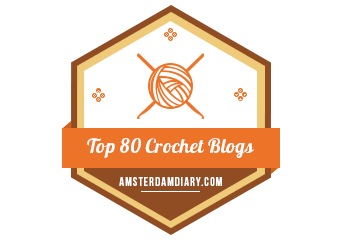 I’ve poured my heart and my soul, my love and my fears into this course, and I’m pleased to say that it has grown into an all-encompassing resource and an ultimate guide for graphghan making. In fact, I love this course so much that I’m giving away TWO free spots in the class! One winner will be chosen via Facebook and another will be chosen via Instagram. You may enter both drawings as many times as you like! UPDATE 8/29/18: Our winners have been chosen! Thanks so much to everyone who entered. If you still want a seat in Graphghan Boot Camp, click here to enroll. To enter via Facebook, follow the instructions on this giveaway form (due to HTML limitations on my site, I’m unable to embed the giveaway form directly into this blog post). the more comments you leave, the more entries you get! This giveaway runs from now all the way through Sunday, August 26th. UPDATE 8/26/18: There was a problem with the Facebook entry form, which I’ve just been able to fix. Because of this, the giveaway will be open through Monday, August 27th. Winners will be announced on Tuesday, August 28th. Winners will be announced by Monday, August 27th. If all of this sounds amazing to you and you don’t want to chance not winning the giveaway, you can guarantee yourself a spot in the class by enrolling today! I hope you’ll join me for Graphghan Boot Camp–it’s going to knock your socks off!